Why EKM? See why over 30,000 shops and counting use EKM. See why over 80,000 shops have trusted EKM. We want you to be successful and we’ll help get you there. 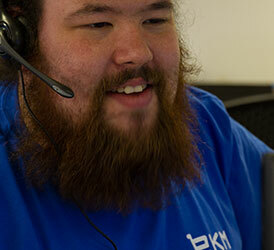 Our proactive, UK based support team are here to help whenever you need it. 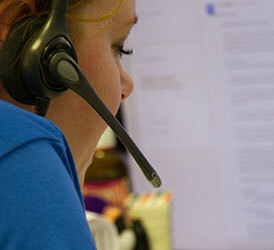 Call, email or live chat to get instant assistance. EKM is simple. Running your shop is simple and the pricing is simple too. We have transparent pricing, clear terms of service and no hidden fees. EVER. Run your shop without having to worry about extra costs. With over 15 years experience powering online shops just like yours, we’ve gotten to know what you need from your eCommerce provider. Join over 50,000 shops that have trusted EKM. 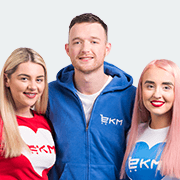 Whether you're brand new to selling online, moving from another platform or looking to expand your eBay business, EKM makes the whole process quick and easy and we're with you every step of the way. Building an online shop on EKM is quick, easy and stress-free. If you're new to eCommerce, we understand that starting an online business can be overwhelming, that's why on EKM you get your own dedicated account manager to help you get set up and selling. Your Account Manager will be by your side as a dedicated point of contact for the first 6 months. Their job is to help you get your first sales. The next step for an established ecommerce business can involve some big decisions. Your eCommerce Expert is a dedicated and proactive point of contact for growing businesses facing new challenges. From marketing, to fulfilling your orders and processing payments - there’s always a better way of doing things when you start to grow, and all you need is an expert in your corner. Our ever growing research and development teams conduct and work with market leading research - striving to make your success a reality. 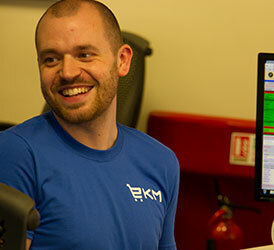 Have your say in the updates made to EKM with regular customer focused research. UK based support, offices and servers means that we can provide first class support for your business and you can rest safe knowing that we’re only a phone call away. EKM is packed with features that are built for success. Find tools and features that will help you with every aspect of your business. 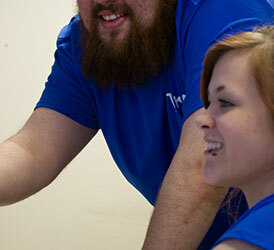 "Amazing service and amazing customer and technical support. Loved putting the website together and considering I'm a complete novice, my site looks fab"
"We've hosted our store on EKM for nearly 10 years, during which the ecommerce landscape has changed considerably. The EKM platform has allowed us to keep pace with this - they are a rare and refreshing combination of a cloud based service with quick, personal support." "Had a few tech issues, but I am old lol... Sorted straight away, no hanging around and being pointed elsewhere. Site easy to use and set up. Would recommend to anyone, even if old like me !!"